As of this writing we know that very cold weather is on its way (18o Sunday night!) but the question of snowfall is still up in the air. How much will actually stick? 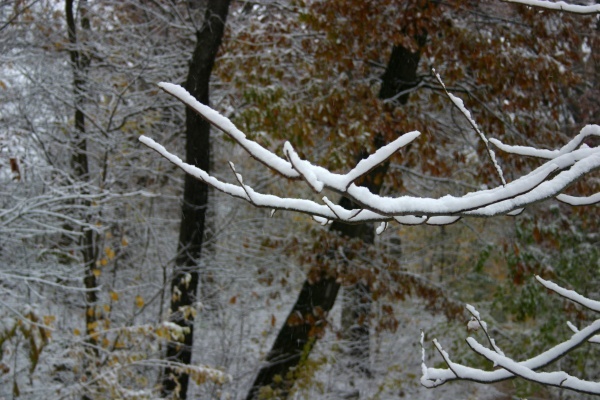 On November 12 the first snow of the season was quite beautiful in Schenley Park. By now all the leaves have fallen. Even with snow, this scene would look different if photographed today.